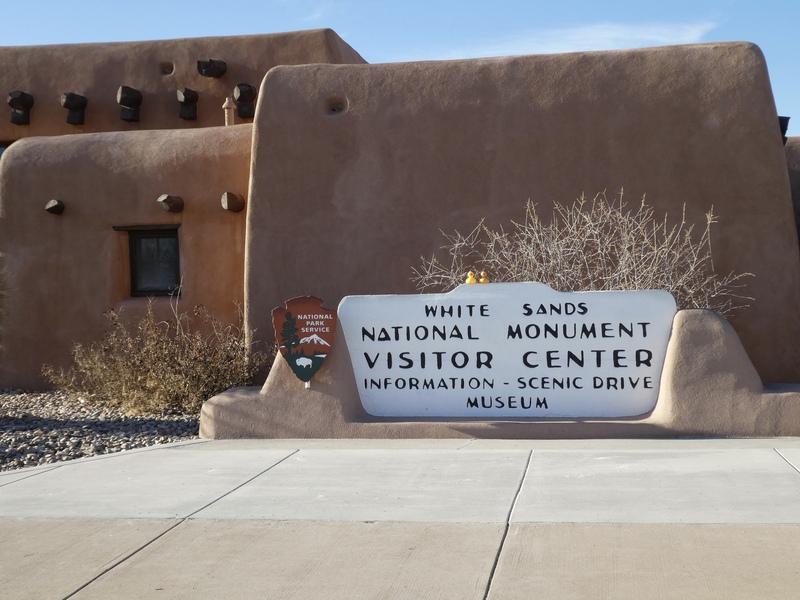 We are going to White Sands National Monument today. And there is so much white sand there! If you start digging at the shallow part, you will still be digging sand for more than 30 feet. A sign said there is enough sand to fill 45 million boxcars. That makes a train long enough to circle the earth, at the equator, 25 times. That is a lot of sand! 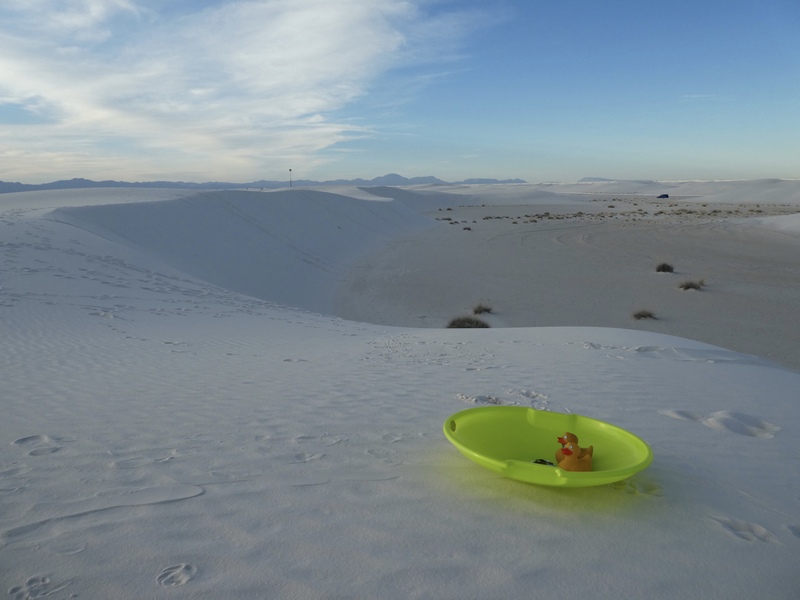 White Sands National Monument is near Alamogordo, in southern New Mexico and is surrounded by White Sands Missile Range. Sometimes this monument is closed during missile range tests. White Sands Missile Range is also an interesting place. The first atomic bomb test was here, at Trinity Site, July 16, 1945. There is also a fascinating free museum at White Sands Missile Range. But, today we are talking about a lot of white sand. After the Visitor’s Center, we walked to the gift shop. 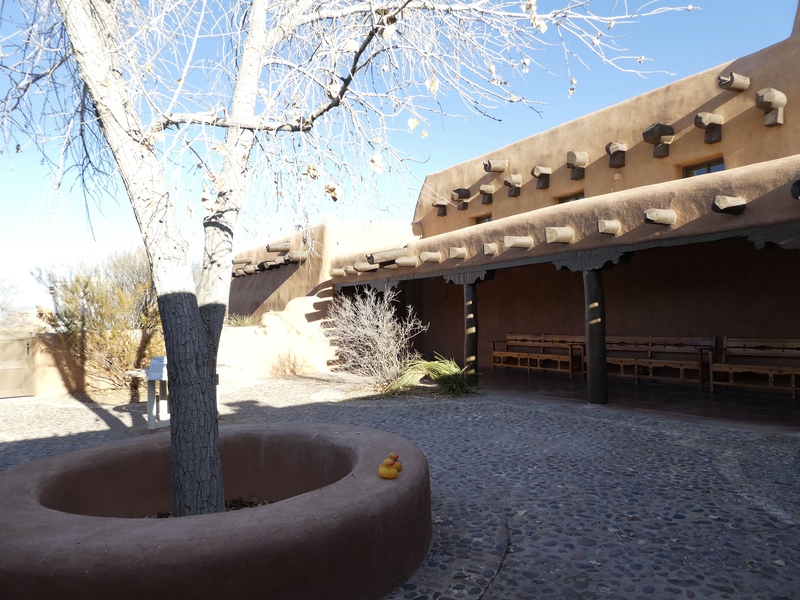 Isn’t this a pretty court yard between the Visitor’s Center and Gift Shop? Our mission in the gift shop was sleds. Yes, we bought 2 sleds and wax sticks for each sled. 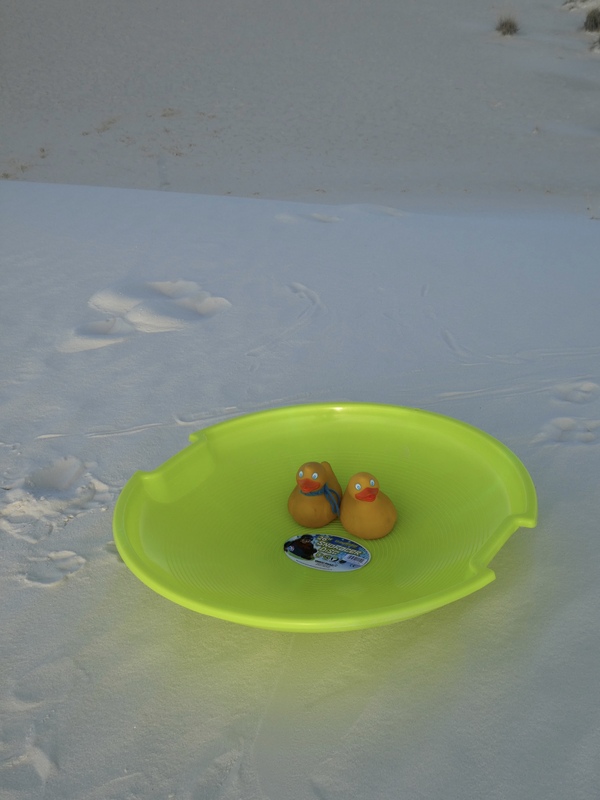 We can sled on the sand dunes. Sleds and wax tucked into our car and we followed Dunes Drive until we found our perfect dune for sledding. Here we are, ready to enjoy sledding on the sand dunes. Well, these dunes really look big from here. Remember, we are small rubber ducks. Maybe we should let the humans try this first. Soapy’s mom was the first to go. She survived and said it was great. Here comes my mom sledding down the dunes. We ducks went also. Fortunately it was not crowded today. Another family was sledding down a nearby dunes. All the humans were all laughing and having a great time. 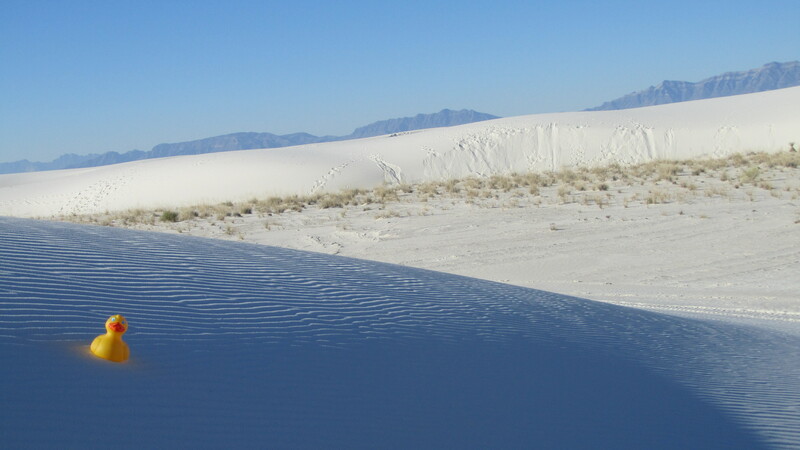 This white sand is primarily from gypsum. This sand is fairly rare because gypsum dissolves in water, but there is no water here. The sand is very white and beautiful. A quite a bright reflection when the sun is at its brightest. There are several picnic areas. These picnic tables are great. The covering protects from the sun and also the wind. 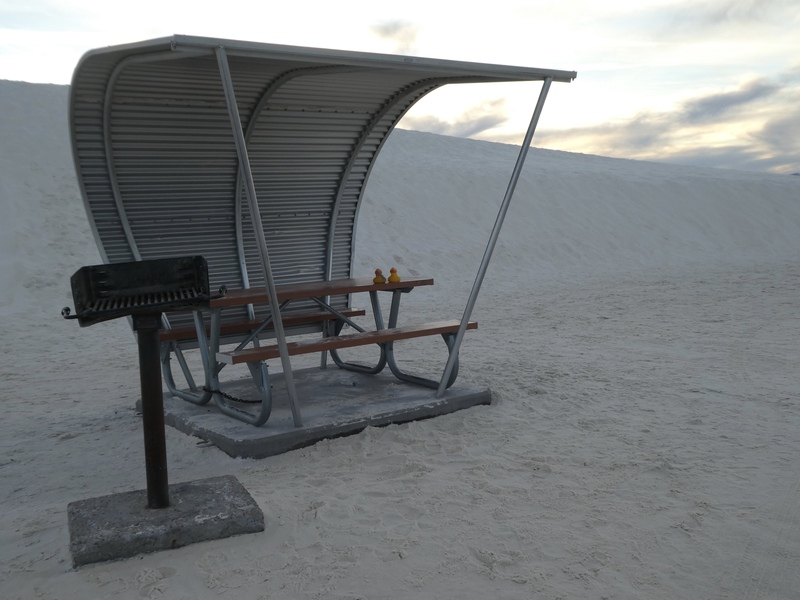 Nobody wants blowing sand in a picnic lunch. But here I, Zeb the Duck, am sitting on the sand. Those ripples are caused by wind, so be careful if a storm is coming. But we do like to see mountains behind the sand. 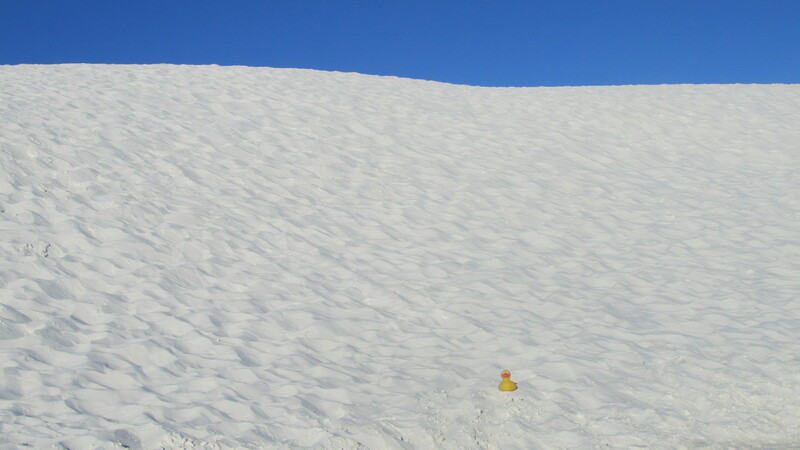 There was another sign reminding us that from the space shuttle, the only white features visible are snow on mountain tops and this white sand. At 275 square miles of white sand in the Tularosa Basin, this is the world’s largest gypsum dune field. Much of southern New Mexico is desert, so you can guess that many desert animals live here at the sand dunes. 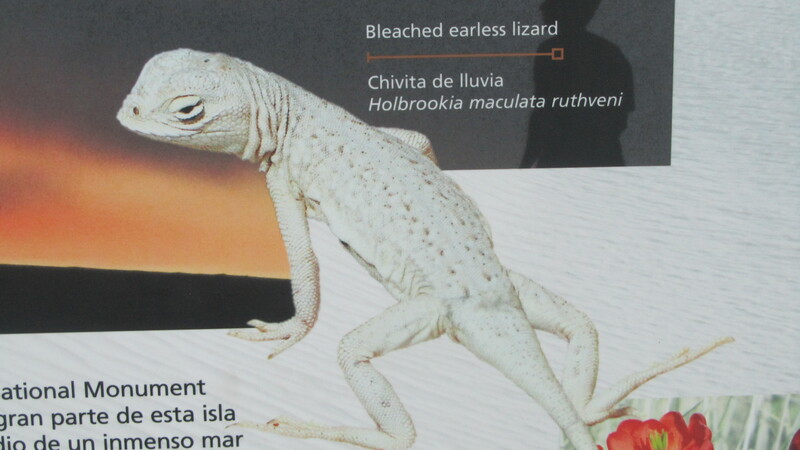 This one, the Bleached Earless Lizard, was the most fascinating to us. We did not see the lizard, but he many have seen us. 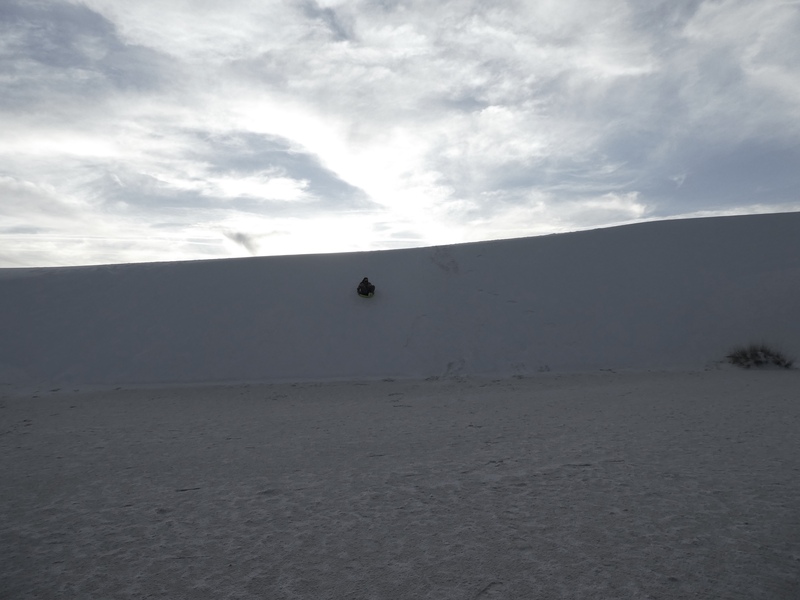 We loved our time at White Sands National Monument. We hope you visit soon. We think you will have as much fun as we did. And in the Visitor’s Center we learned so much about this whole area. New Mexico is great!